Although match day is the peak of the working week when you are involved in the wonderful world of football, nevertheless there is always something going on. In my case, although I don’t work a full day every day, it is still very much a seven day week. I’m not complaining though and as long as I can keep balance – which is where fishing plays a massive part – I’m more than happy. After all, it’s football and I’m sure there are many who would love to be able to make their living from the beautiful game. It is a privilege and I know that. This week, as always, variety has been the spice of life. Although there are lots of things that repeat, there is always a freshness about what’s going on. Covering training, interviews, shirt signing and so on are all regular features of the work involved, yet they never become stale. Regarding the signing of shirts, we have done quite a few over the last few days involving all the players. The image above is with Danny Redmond. Signed from Hamilton Academical in the summer, Manchester City and Oldham Athletic fans will know his dad, Steve. One of the things that I started when I got involved in football was a memorabilia collection. It began unintentionally when I had my first team sheet. I thought to myself that I couldn’t throw it away and so, without realising it, my collection was birthed. 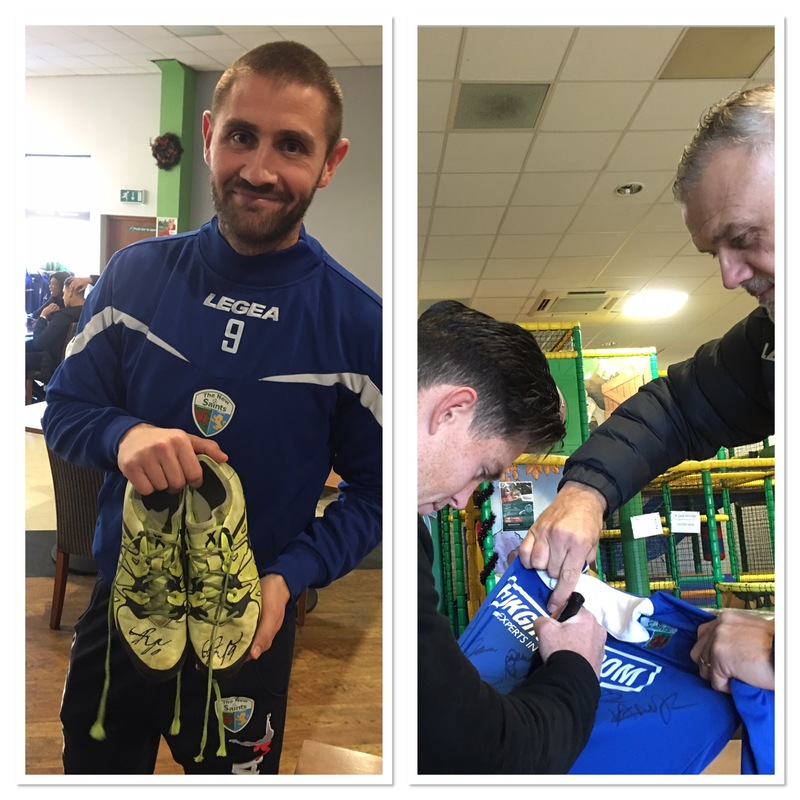 The latest addition is the pair of boots that our New Zealand international, Greg Draper, played in when he scored his 100th JD Welsh Premier League goal a while back. I got them signed, of course, and they now join my other items. I log them on a separate page here on my website, with this season’s HERE. Keep up to date with my blog entries, and more, by liking my Facebook page.